Home Away From Home. 4 Bedroom, 3 Bath, spacious home with dock for your boat. Property 56: Home Away From Home. 4 Bedroom, 3 Bath, spacious home with dock for your boat. Property 59: Beautiful Cabin On 5 Acres. 2.5 Miles From Bethel Woods and Villa Roma. Quaint Rustic Cabin - Close to Lake Wallenpaupack! Property 60: Quaint Rustic Cabin - Close to Lake Wallenpaupack! Log cabin on 1 wooded acre with trout stream. Property 65: Log cabin on 1 wooded acre with trout stream. Property 66: Masthope Mountain Rental! Lake Wallenpaupack! A Family Friendly Home just steps from the lake. 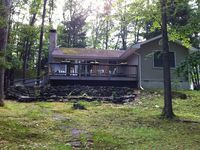 Property 80: Lake Wallenpaupack! A Family Friendly Home just steps from the lake. Quiet & Spacious Family Home in Beach Lake w/Yard! Property 81: Quiet & Spacious Family Home in Beach Lake w/Yard! Catskill Bungalow with pool , outdoor fireplace. Property 90: Catskill Bungalow with pool , outdoor fireplace. 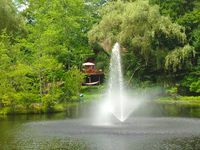 Relax and be surrounded by nature in Masthope in the Poconos. Great for groups. Property 94: Relax and be surrounded by nature in Masthope in the Poconos. Great for groups. Romance or Family Time at Ski Big Bear in Masthope. Property 97: Romance or Family Time at Ski Big Bear in Masthope. Contemporary Lake House Getaway - 5 Acres - Lake Front / Pool / Activities! Property 100: Contemporary Lake House Getaway - 5 Acres - Lake Front / Pool / Activities! Very comfortable and accommodating house. Lovely view especially when the sun came up in the morning. Nice and clean and fresh. Spencer was totally available to answer all questions. We would go back to this place the next time we need to be in this part of the state. Thank you !! Nice cozy home for a long weekend getaway. Did not get to see the fountain that had been covered by the sheet of ice. Firepit was a bit small but did it's job, a little muddy from the melting snow walking to it. Hot tub was nice in the cold weather. Short drive to a hiking trail for the view of the lake.